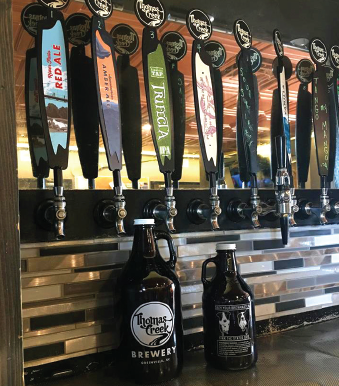 Discover the area's hottest breweries, get some in-the-know beer recommends, find out what breweries are new on the scene (and who's going to open soon! ), pick out the perfect beer tour, and blaze your own Beer Trail with interactive and printable brewery maps. Like Beer? 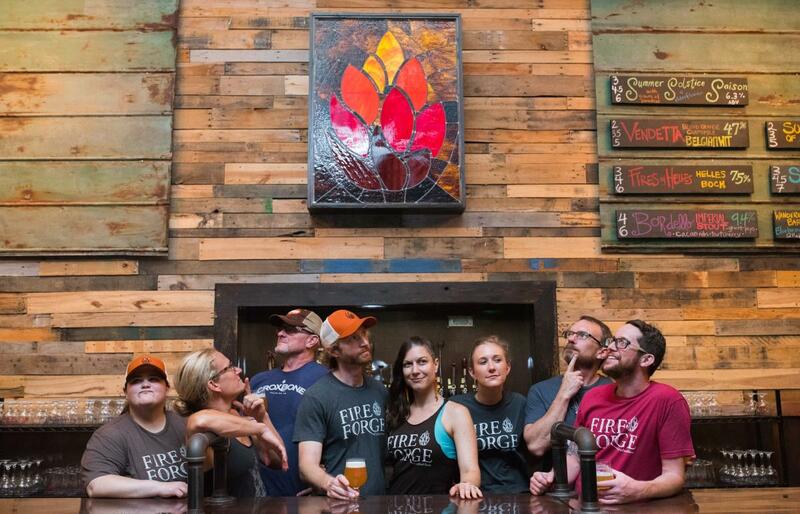 Here's How to Drink Like a Local in the Brewery Scene. 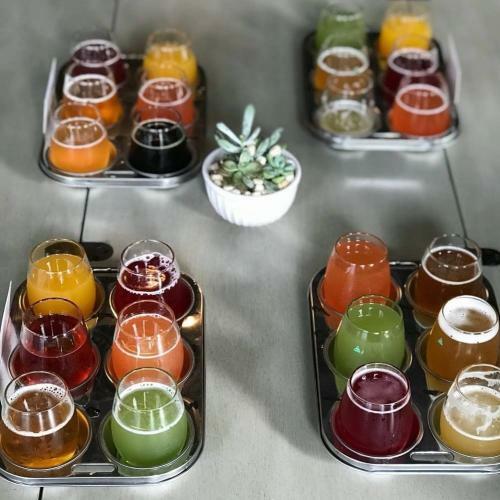 Located in the Millennial haven of Hampton Station (seriously — there&apos;s a CrossFit gym, artisanal coffee, art studios, a dog hotel, and an awesome taco joint on the premises, for starters), Birds Fly South prides itself on its old-school approach to brewing. The focus is on farmhouse/saison-style beers, with unique sours, barrel-aged specials, and funky IPAs to round everything out. Add a breezy lawn and a bunch of new friends, and you get the perfect day. Before the craft beer renaissance hit Upstate South Carolina, there was Thomas Creek. This Greenville stalwart has been crafting beer with pristine water from the Blue Ridge since 1998, with a strong stable of ales, stouts and IPAs as well as seasonal, atypical and specialty brews. And if you seek enjoyment that goes beyond their tasting room and patio, Thomas Creek also offers supplies for the home brewer. This brewery might&apos;ve gotten its start in Delaware, but Iron Hill lays claim to Greenville with beers like the Upstate Kölsch, a blonde ale made just for us. With over a dozen brews on tap, an airy restaurant, inventive bar menu, and cans and growlers ready to go, this promises to be your new favorite watering hole on Greenville&apos;s Eastside. 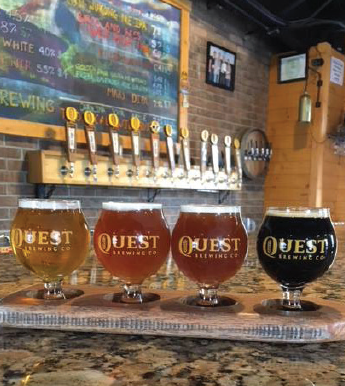 Legendary beers that stand the test of time, plus quirky seasonals (like the Ponce jalapeno cucumber rye saison) have cemented Quest's status among local breweries, but a strong community focus has made it a beloved hangout. Musicians frequent the backyard stage, and a full slate of events—from food trucks to yoga classes—means there's always a good reason to come by and come back. With a name like Yee-Haw, you'd better show up ready for fun. Located downtown just off of Main Street, this taproom is the perfect hangout for the active urban set. The World Beer Cup award-winning Dunkel (plus some delicious pilsners, pale ale, high gravity and seasonal options) and 24-hour-brined chargrilled wings highlight the eats and drinks, and a courtyard full of yard games is right outside. 307 E. McBee Ave., Suite C.
Fireforge does not have "flagship" beers, but here are a couple of local favorites that are worth asking about if you swing by! Spirito Santo IPA: Hoppy but not heavy, there are a ton of citrus notes amped up by bitter orange peel, while staying on the easy-drinking, lighter side of things. The Vendetta: A Belgian Witbier with blood orange and chamomile, on tap now through the summer. It&apos;s light, refreshing and summertime in a glass! White Ale: A refreshing Belgian-style white ale, with notes of coriander, orange peel, and chamomile. The perfect reward for a day spent on the Prisma Health Swamp Rabbit Trail. GVL IPA: This one's for the home crowd. This American IPA is brewed with Warrior, Centennial, and Amarillo hops, then dry-hopped with more Centennial and Amarillo. In short, it's hoppy and punchy, but refreshing and light enough to drink all day. Quittin' Time: A creamy, smooth Helles Bock with notes of banana and clove that's deceptively easy to drink. Oppose the Tyrant Rye IPA: Fruity Mosaic hops and floral Galena hops blend with earthy rye spice for balanced bitterness. What started as a home-brewing experiment yielded this new addition to Greenville&apos;s craft-beer scene at the renovated historic Westone development (formerly the site of Battery & Electric Company). Liability has eight beers on tap ranging from pale ale to black lager. After trying out their beer, you can head next door for some Chicago-style pizza at World Piece or pulled pork and smoked chicken wings at Moe&apos;s Original Bar B Que. Until recently it&apos;s been known as the Upstate Craft Beer Co., but Eighth State has been completely reimagined and reinvented. Housed in the old Claussen Bakery, this brewpub is a creative take on beer, food, and the overall taproom experience. Modern beer and cocktail offerings range from draft cocktails to beer slushies. A rotating menu, weekly Bingo, and live music round out the experience. Still newer on the scene, Rail Line opened in October 2017. 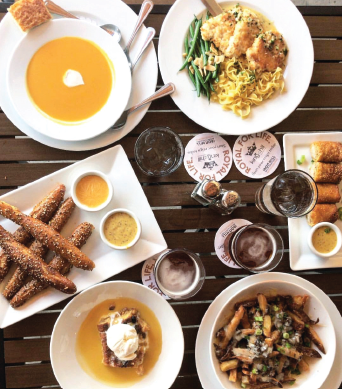 A small batch brewery with in-house restaurant (think pizzas, sandwiches, salads, and flatbreads), this Simpsonville staple is all about a relaxed environment and connecting with one another. Formerly located in downtown Greenville, this well-established restaurant and brewery with delicious home brews and delectable dishes, can now be found in downtown Greer. 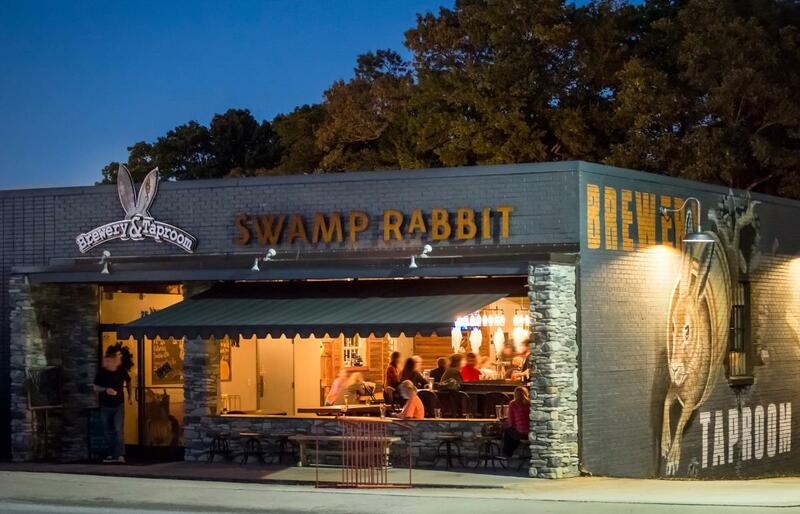 Opened in August 2015, this hidden gem of a brewery is considered the smallest in Upstate South Carolina (which makes it a whole lot more intimate), but it's also the largest home-brew store in the area. 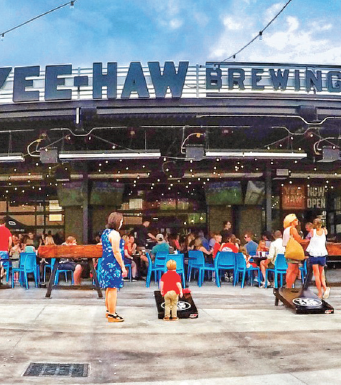 With 60 constantly-changing craft beers on tap and some of the most Insta-worthy food to salivate over (which also changes every eight weeks), this Greer hot-spot will be opening its own brewery (BREWERY OPENING IN 2020)—with four times the amount of indoor space + awesome lawn/outdoor space for fun events. Plan your weekend getaway now! 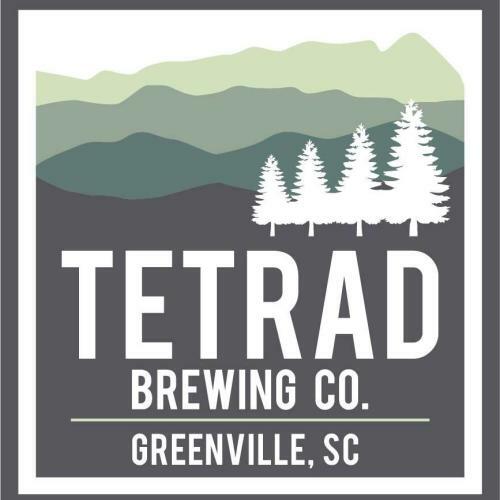 OPENING FALL 2019, this brewery's second location (the original is located 40 minutes SW in nearby Anderson, SC) will be in the new Poe West development in the Village of West Greenville. Offering uniquely handcrafted ales, ciders, and meads, Carolina Bauerhnhaus considers itself a farmhouse brewery and locally sources its yeast, hops, fruits, and grains to pay homage to the area's rich agricultural resources. Founder Keston Helfrich also plans on integrating the regional ales into a European-inspired brewpub full of classic historic lagers and ales. In addition to the interior, one can expect 3,000 sq. ft of covered outdoor space for a biergarten and entertainment area. 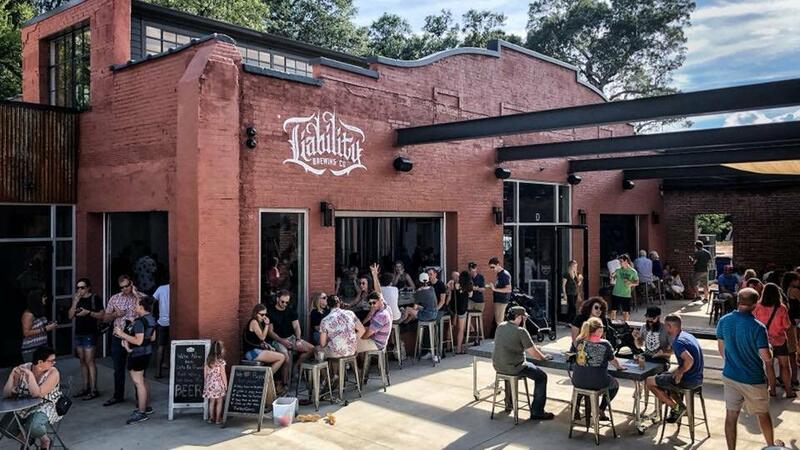 OPENING LATE 2019 and based in Holland Park, this aesthetically-awesome-looking brewery will be next door to Charleston-based Home Team BBQ and across from two shipping container restaurants! Directly on the site of an under-construction expansion of the Prisma Health Swamp Rabbit Trail, joggers, walkers, and cyclists will easily be able to make one heck of a pit stop. The half-acre Oak Tree Park (also part of the Holland Park development) features twelve 100-year-old oak trees for providing shade during the heat of summer. OPENING IN 2019, this brewery will be one of the largest in the area at 21,000 sq. ft. and accommodating hundreds of happy beer enthusiasts. The other bonus? 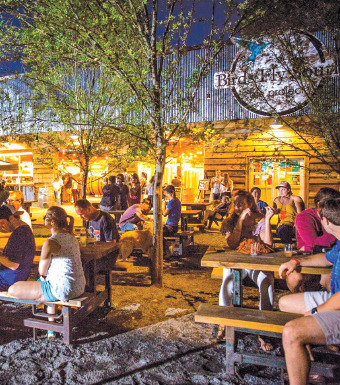 It's trailside—perched right along the expanded Prisma Health Swamp Rabbit Trail and will offer grab-and-go drinks and bites to eat. There will be 20+ brews on tap as well as a full food menu, wine, coffee, and soda offerings, a stage, event space, and an expansive biergarten for playing outdoor games and other outdoor events. The concept will be similar to Sierra Nevada in Asheville, NC, which the founder/brewmaster calls "his favorite place in the world." OPENING WINTER 2019-20, this brewery just announced its brick-and-mortar location in February 2019. Founded by two guys who met while obtaining their MBA degrees in Entrepreneurship & Innovation at Clemson University, Head Brewer Steve Schofield also went through the UC Davis Master Brewers program. Nautic Brewing plans on opening as a family-friendly establishment that makes and serves beer, wine, and craft sodas. Can't decide on what to drink? Book your "flight" through one of these brew tours for a tasty trip. 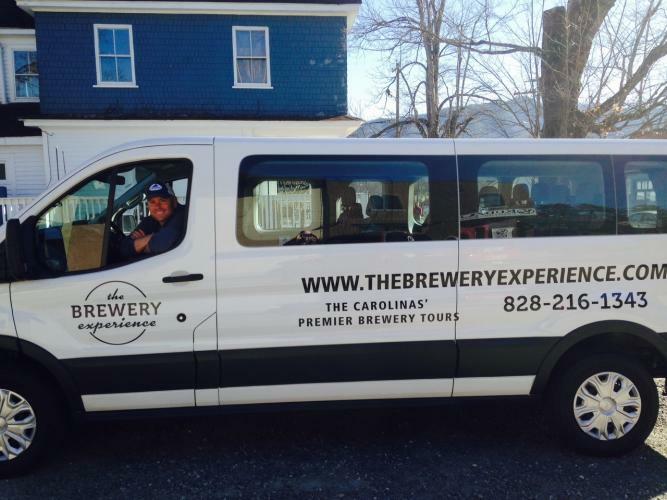 Dive into Greenville&apos;s craft beer scene on this Brewery Experience van tour ("Hump Day Getaways"offered on Wednesdays and "Afternoon Delights" and "Twilight Tours" on Saturdays; custom, private tours by appointment) stops in up to seven local breweries. Led by Gary Glancy, a Certified Cicerone®—the beer equivalent of a sommelier for wine, this is one tour you don&apos;t want to miss! Experience Greenville&apos;s burgeoning craft-beer scene on a Brews Cruise. Four different Saturday driving tours cover three breweries each in different parts of the County, providing samples and behind-the scenes peeks at the brewing process.